Aloha, thank you for stumbling upon my portfolio! I have been "modeling" since I was 17 and continue to grow and learn. I would love to gain further experience and exposure in the modeling/acting industry to help pay my way through school. 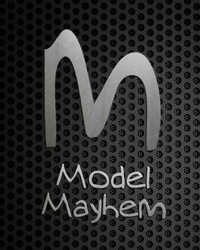 My main goal for being on ModelMayhem is to build my portfolio. I am open to any and all ideas (FIRM: NO NUDES). Thank you and have a lovely day, hope to hear from you! Worked with Guinevere D? Share your experience and become verified!